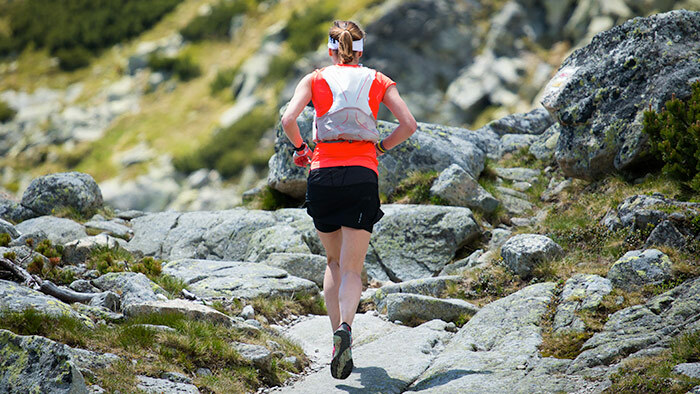 With more and more people signing up for ultramarathons—are you starting to get the itch too? These guidelines will show you how to make the jump from marathons to ultras and give you some key tips for having the best race possible. If you’re currently in good shape you can prepare for a 50K (which is about 31 miles) in roughly 12 weeks. However, if you’re starting from scratch give yourself plenty of time, up to 24 weeks to prepare for your event. Add an additional eight to 10 weeks of training for events that are between 50K and 100 miles in length. 1. Run where you race (or as close as you can!). 2. Throw away your ego. 5. You’re stronger and more capable than you think.